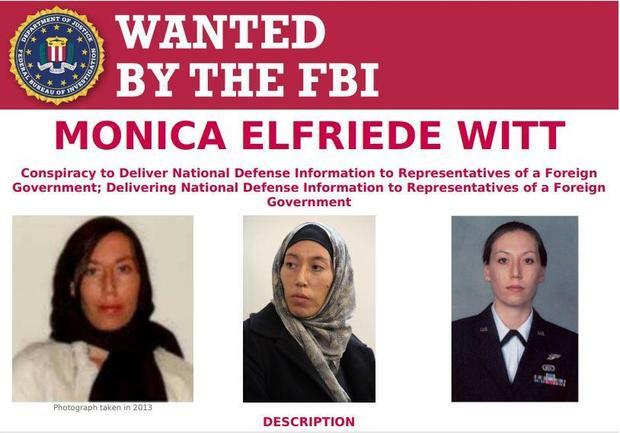 Washington — The Department of Justice charged former U.S. Air Force special agent and counterintelligence specialist Monica Witt with espionage, accusing her of defecting to Iran in 2013 and revealing highly-classified U.S. intelligence to the government in Tehran. “[Witt] appears to have switched her allegiance to thinking that the United States, where she was born and raised and worked, was not where her allegiance was anymore,” assistant attorney general John Demers told CBS News Wednesday. Witt’s actions, the FBI said, put the life of the officer whose identity she revealed at risk.